JAPJI SAHIB: Control’s one’s “ji,” one’s soul. When your ji, your being is endangered, when the radiance of your soul is weak, recite Japji. Guru Nanak said that the thirty-eight Pauris of Japji would liberate the humanity from the cycles of birth and death. SHABAD HAZAARAY: This is the highest disciple’s love letter, written by Arjun to Guru Ram Das. Its boon is that it gives the benefits of a thousand Shabads, and the soul shall directly merge with God. It makes the separated ones come home with grace. One who recites this Shabad shall never be separated from their beloved. JAAP SAHIB: The Naad of Jaap Sahib rouses the soul and the self of the Being. Sahib means grace. Recite it when your position is endangered, or when your authoratative personality is weak. This Bani brings grace and greatness. It will also give you the ability, that whatever people say, you will automatically be able to compute what they are actually saying. And, once you are able to recite it correctly, it will give you the power, the Siddhi, that whatever you say, must happen. Man can direct God and God can direct man. Guru Gobind Singh recited Jaap Sahib so we won’t become beggars at the doors of others. TEV PRASAAD SWAIYAAS: Spoken by Guru Gobind Singh. When you are not getting any satisfaction out of life, this is the Bani to recite. ANAND SAHIB: Whosoever recites the forty Pauris of Anand will have endless bliss, because the Guru is limitless. In this Bani, mind and body are explained in relation to cosmic divinity. Guru Amar Das gave us this Song of Bliss to qualify the mind and to understand the depth. For husband and wife to get together, recite it together, alternating sutras (lines). REHIRAS SAHIB: This Bani is recited after one has worked and is tired. It adds energy (raa-hu) to one’s being, to one’s total concept. Also, recite it when your worldly wealth is endangered. In Naad, reh means live, and raas means commodity. Rehiras Sahib helps you when you are physically weak, or weak in money, property and earthly goods. KIRTAN SOHILAA: This Bani is done before sleep at night. It is the most harmonious Naad ever uttered. It multiplies the aura to the sensitivity of protection that it eliminates any negativity for miles and miles. When you are endangered by any species of direct or indirect source, and when you want to protect yourself with the surrounding of the entire magnetic field of the earth, recite Kirtan Sohila. GUDKA: Gudka is actually a stopping of the lever on a Persian wheel. It is the name given to a small collection of Banis, which are usually recited on a regular basis. Bani is a Gudka, itself, as it stops the negative cycle of the mind. To each negative thought, Bani brings a positive thought, and inner balance is achieved. It stops the mind and reverses the thought forms. Gudka will immediately take you out of any urge of the hidden self. Whatever frequency you will apply to yourself, the world will apply to you. One very powerful Gudkaa is the mantra, “Ek Ong Kaar Satigur Prasaad, Satigur Prasaad Ek Ong Kaar.” If this mantra is chanted five times, it will stop the mind under all conditions, and it will put it in reverse gear. Whenever you chant this, Siri Guru Granth Sahib will sit in your heart. This was said by Guru Gobind Singh, at Nander where he lived the last months of his life. 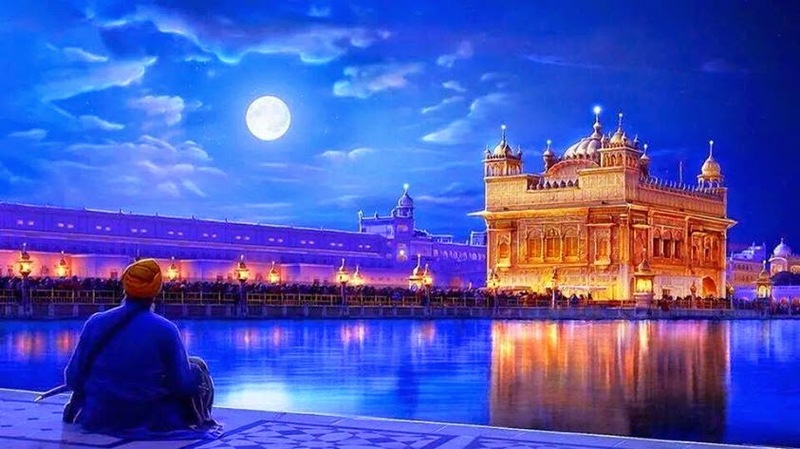 The whole Siri Guru Granth Sahib is an explanation of the mantra, “Ek Ong Kaar Satigur Prasaad” (One God has created the creation, and is realized by the Grace of the True Guru). These are just a few of the infinite blessings which reside in Siri Guru Granth Sahib. It is for the seeker to visit this great city and discover the abundant joys to be had there. Guru Ram Das says . . .
“Bani is the Guru and Guru is the Bani. In the Bani are contained all the nectars.